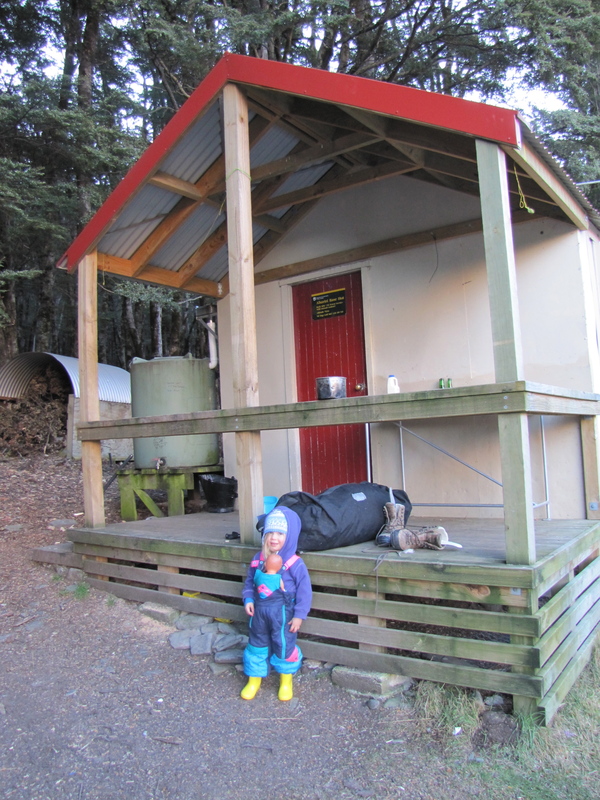 A neat wee 6-bunk 4WD accessible hut in the Ahuriri Conservation Park. Access: 4WD right to the front door! Possibly 2WD at some times but you would have to check with DoC beforehand (Twizel 03 435 0802). It’s 7km from the Park boundary, so is walkable or mountain bike-able if you’re that way inclined. Hut features: Standard 6 bunk. Reasonably clean. Sandfly protection on windows (we didn’t see a single sandfly but it was late May). Woodburner is awesome. We arrived after the sun had left the hut and soon had the hut plenty warm enough – warmer than our bedroom at home probably. Negatives: Ease of access means that you might have to share it with others. Visited: by Clark family, May 2015.